Company Profile - Shenzhen TitanFlying Technology Co., Ltd. Established in 2002, Shenzhen TitanFlying Technology Co., Ltd (TTF) is located in Shenzhen University Town, known as the Silicon Valley of China. TTF has more than 20 years' experience on mechanical processing. 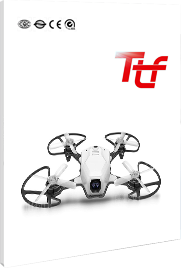 "Touch the Future" is the company slogan of TTF Technology, and we know that we cannot achieve this goal without your support and attention. So, we will continuously provide you our best-quality products with super material and unique technology.